While your gutters might not be the most prominent feature of your property’s exterior, gutters are very important to keeping water off your roof and away from your home or business. Frequently, we find that homes we service that have no gutters, poor gutters, or poorly installed gutters have trouble with water damage in these homes’ interiors and/or basements. Likewise, homes that have not maintained their gutters (e.g., allowing debris to collect, not attending to gutters that have come unfastened from the roof, etc.) can suffer from weakened fascia or other damage where water has been allowed to seep or pool. In order to help you keep on top of your gutter maintenance and your property’s protection ﻿Heritage Home Improvements your Northford Gutter Contractor ﻿offers several gutter services that can help you keep minor repairs from becoming a major expense. 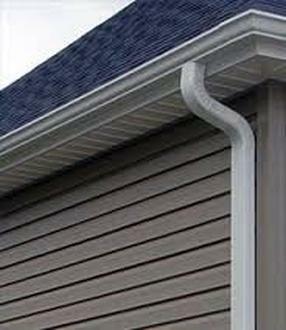 Seamless gutter installation is one of the most popular and most effective ways to divert rain water to a spot where it won’t damage your property. While older gutters are prone to clogs, seamless gutter installations are designed to eliminate the joints where leaves and other debris would tend to get stuck and cause backups. 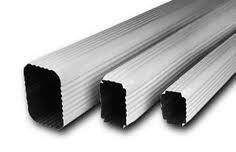 Our downspouts come in 2” x 3”, 3” x 4” and 4” x 5”. They are pre-manufactured in 10’ sections. 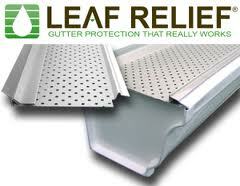 They come in aluminum (in the same colors offered as gutters), and copper. Downspouts are fastened to the wall with 2” screws. Unless attached to a drain tile, a downspout is typically left 5” to 8” above ground level to accommodate the slope of the extension. 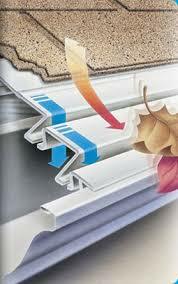 Gutter Protection comes in many different styles and costs. 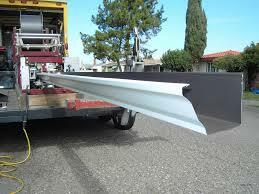 It prevents clogging of the gutter by all types of debris. Gutter Protection has become an essential part of a gutter system to prevent clogging gutters leading to potential structure or cosmetic damage to your home. Prior to installation of your new gutter protection system, we will clean the gutter and downspouts, seal the corners and seams, check to see that the gutter is sloped properly to the downspouts, and make sure that the gutter is secured properly.